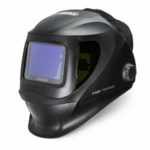 Welder's flash is a sensation of burning in your eyes that occurs after you have worked with a welding torch. Formally, the condition is called a corneal flash burn. It results in inflammation of the cornea. Some people also refer to the condition as arc flash burns. The cornea is the surface of the eyeball. In most cases, arc flash burns affect both of the eyes rather than just one. Do Flash Burn Symptoms Appear Right Away? Does Flash Burn Go Away? In almost all cases, welding flash burn resolves completely. However, it can lead to an infection if it isn't promptly treated. This can result in permanent eye damage. What Causes Welding Flash Burn? The damage is usually caused by intense light. However, the light that causes the damage is not visible. 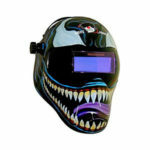 Welder's flash is caused by ultraviolet light. Codeine: In some countries other than the US, codeine is available without a prescription for pain relief. This medication is a mild opiate, and some people feel that it is highly effective. However, it can cause withdrawal symptoms if you use it for too long and stop taking it abruptly. Paracetamol: Paracetamol is sold under the brand name Tylenol, but other brands are available. It can be quite effective for pain relief, and it is not habit forming. It's very important that you never exceed the recommended dosage of paracetamol as this can cause severe liver damage. Ibuprofen: Ibuprofen is the active ingredient in Advil. This medication has strong anti-inflammatory properties. 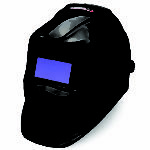 As a result, it can reduce the corneal inflammation that occurs as a result of welder's flash. Aspirin: Aspirin also has strong anti-inflammatory properties. There are many brands of aspirin available. Tumeric: Tumeric can reduce the pain of welder's flash by reducing inflammation. Willow Bark: Willow bark contains active ingredients that are similar to aspirin. Cloves: Cloves contain substances that are well-known for their pain relieving properties. Sunglasses block the ultraviolet component of sunlight. However, the specific amount of ultraviolet light that's blocked depends on the brand of sunglasses that you choose. Therefore, it's important to make sure you purchase your sunglasses from a reputable manufacturer. While sunglasses can make it more comfortable to be outside if you have welder's flash, you should still try to limit the amount of time that you spend outdoors. An ice pack can significantly reduce the amount of swelling around your eyes, and it's easy to use one. Simply hold the ice pack over your eyes for 5 to 10 minutes. You can repeat this process as many times as you need to. Tea contains a significant amount of antioxidants. Antioxidants have powerful anti-inflammatory properties. Many people experience relief immediately using this home remedy. 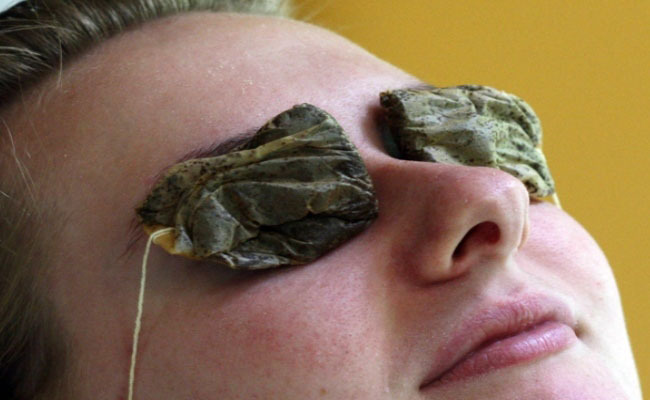 Banana pulp can help to reduce the amount of dryness in your eyes. In addition, bananas contain a large amount of vitamin b-12. This can help your eyes to heal. Cucumber has strong cooling properties. This can reduce inflammation and redness. It's best to apply a slice of cucumber that is cool to the touch. Soak a cotton ball in rose water and place it over your eyes. This reduces both pain and inflammation. It's important that you purchase rose water that doesn't contain additives. Certain additives can be irritating to the eyes. Almond oil reduces pain and inflammation because it contains high levels of vitamin E. It's also a strong lubricator. It's best to apply the almond oil two or three times per day. 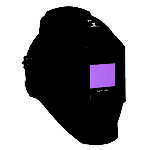 Simply holding a wet towel over your eyes can help to reduce the inflammation and pain from welder's flash. Thoroughly soak the towel that you are using. It's best to use cool water. These enzymes can break down the tissue that causes inflammation. However, it's best to boil down the milk before you use it. After you boil the milk, wait for the milk to cool down. Then, soak a cotton ball with it. You also can apply a few drops of warm milk to your eyes. A cool slice of potato can help to reduce the inflammation that's caused by welder's flash, and it also can reduce dryness. This can reduce itching. In addition, it might help to speed up the healing process. The potato should always be applied raw.